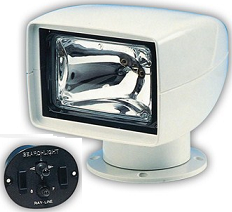 * Our kits are the only way to achieve dual station control remote control searchlight. 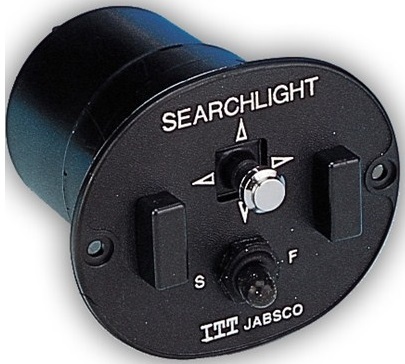 This is a replacement primary station remote control panel for Jabsco 135 SL searchlights. 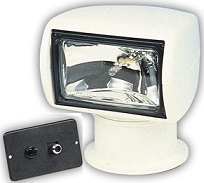 Use with 60020-0000 12 volt, or 60020-0024 24 volt lights. 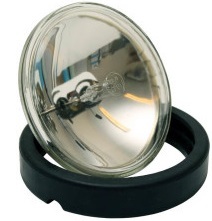 Sealed beam replacement bulb and rubber mounting ring for Jabsco 155SL Searchlight model 61050-0012.